If you are an event coordinator for a gaming convention, gaming/hobby store, or just a gamemaster that wishes to run Shadowrun Missions for your home group, you are probably wondering how to get a hold of the adventures and what else you need to do to run a successful event. First, make sure that you have the support you need to run the event. Go to http://www.catalystdemos.com and check your area to see if there are any Catalyst Demo Team Agents in your area – they can help you greatly in planning the event, finding gamemasters, and other aspects. Make sure that you can find enough gamemasters to run your events. Gamemasters for Shadowrun Missions should have a solid understanding of the Shadowrun, Fifth Edition game system and preferably also experience in running campaign events. Shadowrun Missions is a tabletop role playing game, and can be run with as few as three players or as many as seven, plus the gamemaster. Ideally, tables should have four to six players. You should have a table large enough to seat seven people. Proper lighting, sound dampening walls or curtains, and access to other facilities are always convenient. Adventures are designed to be played during a standard convention four-hour time slot. Please make sure that your marshalling plan allows for the tables to start on time, as the adventure assumes actual playing time of approximately 3.5 hours, with the other half hour reserved for character introductions, downtime activities, and required paperwork. If a table starts late, they will not be able to perform as many downtime activities – this may disappoint the players. There is very little paperwork involved with Shadowrun Missions, but much that needs to be prepared.Published adventures are in PDF format, with all necessary maps and handouts included in the back. You should provide each gamemaster with a copy of the adventure, of course, and it’s a good idea to print one or two to bring to the event in case one of the gamemasters forgot to bring their copy! Review the handout package carefully. There are some handouts for the gamemasters, and some for the players. Make sure that the gamemaster has a copy of the handouts for each table he is to run. One of the player handouts in every adventure package is a debriefing log. This sheet summarizes the adventure, what outcomes were decided, and equipment gained by the characters. 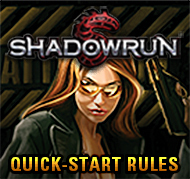 Shadowrun Missions may be played at home as well, but only if the character adheres to the Shadowrun Missions guidelines presented in the FAQ. The character cannot be played in non-Missions events. You must have a completed Missions Calendar for your character’s career up to that point, as well as a GM signed Debriefing Log for each Missions adventure in which the character played. The Debriefing Log must note all Karma, nuyen, and items earned during a run. Gamemasters running Missions at a home game should adhere as closely as possible to the Mission as written as they can (with certain allowances for players who go off-script, because they can and will!). House rules are never to be used for these games, and gamemasters should be careful not to allow the acquisition of crazy, game unbalancing gear. If you and your players have no intention of playing Missions at an open play or convention, then treat Missions adventures as you would any other game session or Shadowrun adventure. Have fun with it and the sky’s the limit. Just note that these characters are not eligible to play at sanctioned Missions events, should you find yourself at one. In that case, though, you’re welcome to sit down with a new character and have some fun slinging some dice and running in the shadows! Published Missions are available via the secure CDT site. Unpublished, authorized Missions are available in the Agent Dropbox. If you’re not a CDT Agent and want to run events at a convention Please join the Catalyst Demo Team by going to the CDT website. 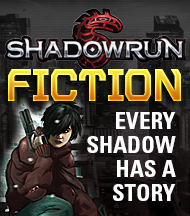 You can post your upcoming Shadowrun Missions event to the Living Campaign and Conventions section of the Shadowrun Forums. Additionally, Agents can post events to the CDT page. 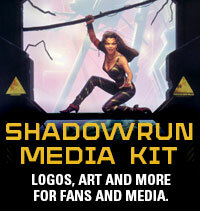 These as a great heads up to Shadowrun players world wide about where and when they can find a Shadowrun Missions game!